In the City of Harrisburg, Pennsylvania, on August 18, 1907, Mr. and Mrs. Warren McKee became the proud parents of a son, whom they named John. These descendants of the great Scotch clan Mackay, saw to it that their son and heir was reared in an atmosphere and environment conducive to the building of character, instilling in his heart and mind a deep and abiding love of country, respect for his fellow man and a belief in and devotion to Almighty God. In due time he graduated from the Harrisburg High School, attended New York University and completed his academic education at Southern Methodist University, from which he holds a Bachelor of Law degree. Brother McKee came to Texas in February, 1930. On Saint John the Evangelist Day of that year, he persuaded Miss Leo Fern Armstrong, of Cottle County, to accept him “for better or worse.” They have been blessed with one child, a daughter, Janice Areta, a student at the University of Texas. He has been associated with the Ford Motor Company of Dallas for a number of years and now holds the very responsible executive position of Manager of the Industrial Relations Department. Among various memberships in business organizations, we note that he is a member of the Legislative Committee of the Texas Manufacturers Association. 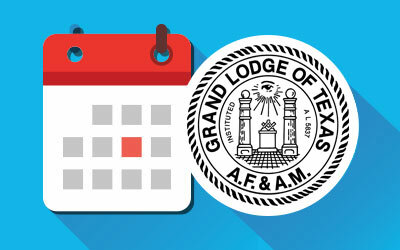 Throughout the years, Brother McKee has stressed the point that the “good Mason” is one who takes an active interest in civic and public affairs. He is active in the councils of his church, Lakewood Methodist, being a member of the Board of Stewards and President of Methodist Men of Lakewood. Received the Master’s Degree in Pentagon Lodge No. 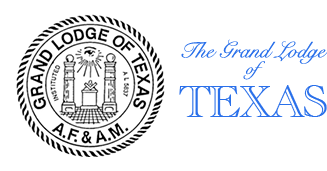 1080, which Lodge conferred the degree as a courtesy for Trinity Valley Lodge No. 1048, on December 19, 1939. 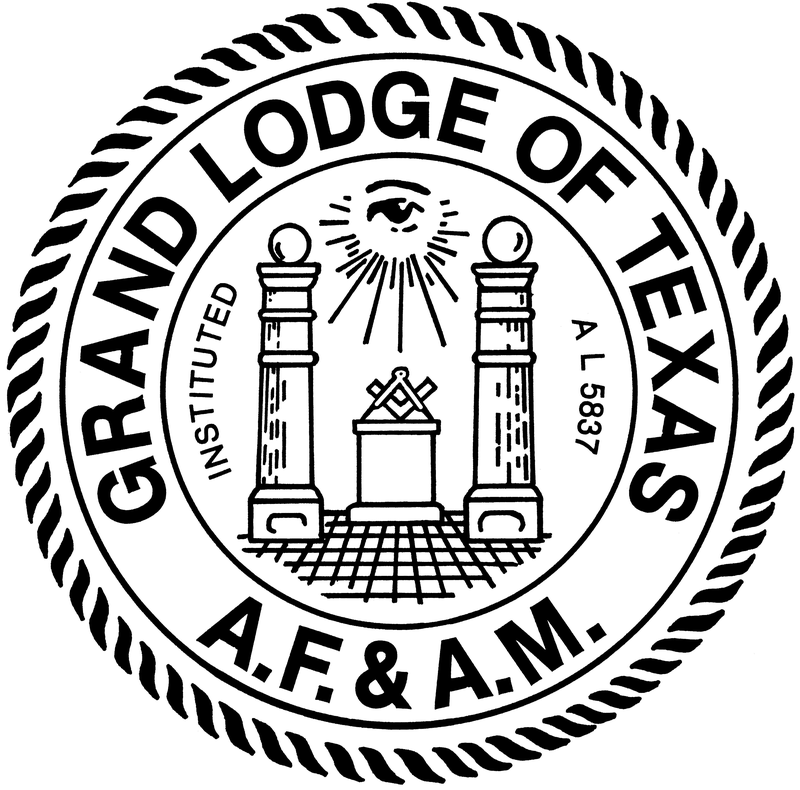 Worshipful Master, Trinity Valley Lodge No. 1048, 1946-47. District Deputy Grand Master, 14th Masonic District, 1947-48. 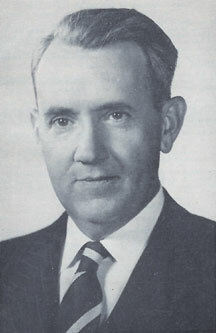 Elected Grand Junior Warden, December, 1950. Elected Deputy Grand Master, 1951. Elected Grand Master, 1952. Member of Masonic Service and Education Committee since 1947, and its Secretary since 1948. Member of Washington Chapter No. 422, R. A. M.
Member of Dallas Council No. 18, R. & S. M. Member of Dallas Commandery No. 6, K. T. Member of Hella Temple, A. A. O. N. M. S.
Member of St. Timothy Conclave No. 65, Red Cross of Constantine. Member of the Sojourners. Member of Dallas Consistory, A. & A. S. R.
He is very active in the Consistory, being Chairman of the Executive Committee, Chairman of the Committee on Membership, etc. He was honored by this Rite in 1951 when he received the rank and decoration of a Knight Commander of the Court of Honour, and was coroneted in 1953, receiving the rank and dignity of the 33rd Degree, which was conferred in Washington, D. C., at the House of the Temple. To this, we would add-not only “he needeth not to be ashamed” but rather “should he be proud of his year as Grand Master.” Proud of his courageous handling of vexing problems. Proud of his awakening of the Craft to their responsibilities and proud of the love and esteem in which the Craft has enshrined his memory.